Give a handmade gift basket. Each item in our Breaking Bread Gift Basket provides employment, a fair wage, and social benefits to disadvantaged artisans and farmers around the world. Organic Cold-pressed Extra Virgin Olive Oil (8.5oz) is a winner, taking the Extra Gold Medal at the Premio Biol competition in Italy. Traditional Za’atar Spice Mix (2.8oz) can be used as a savory bread dip with olive oil, or on meats, vegetables, or hummus. Olive Oil and Za’atar Mix are grown and produced in northern Israel by an organization founded and managed by women. Your purchase supports their model for Jewish-Arab cooperation and non-violence, channeling profits back to educate and empower Arab women in Israel, and ensuring Arab farmers in Israel get a fair price for their crops. Learn more about Sindyanna of Galilee. 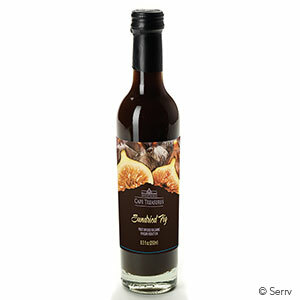 Rooibos & Honey Balsamic Vinegar Reduction (8.5oz) adds a Mediterranean vibe to iconic flavors of the Cape of Africa. This harmonious pairing of savory and sweet will blend with olive oil as a salad dressing or dipping for bread. Made in South Africa, where 60% of black women and 50% of youth are unable to find jobs, your purchase ensures steady employment, fair wages, and education for children. Learn more about Turqle Trading. Palm-Woven Kaisa Grass Bread Basket (3"h x 11"dia) can be used alone or with our heatable Hand-carved Peace Dove Terra-cotta Warmer Insert to keep bread or rolls toasty. Your purchase enables rural and mostly illiterate women in Bangladesh to make handcrafts at home, creating a sustainable craft-based income where few employment options exist. Learn more about CORR. I liked it so much I bought seven more as Christmas gifts for my family! It was a gift for my brother-in-law. He seemed very happy to receive it. The quality is good. Would recommend! I have eyed this combo for three years and finally decided to buy it for a gift. It is a terrific combination. The stone is really pretty. And the basket that holds it all is very nice. I would absolutely buy it again. Owner Response: We're so sorry! We'll let our shipping department know about this. The Breadwarmer, basket, Olive Oil, and Vinegar gift basket was wonderful. The person I gave it to as a housewarming gift loved it and especially loved the sentiment behind SERV.